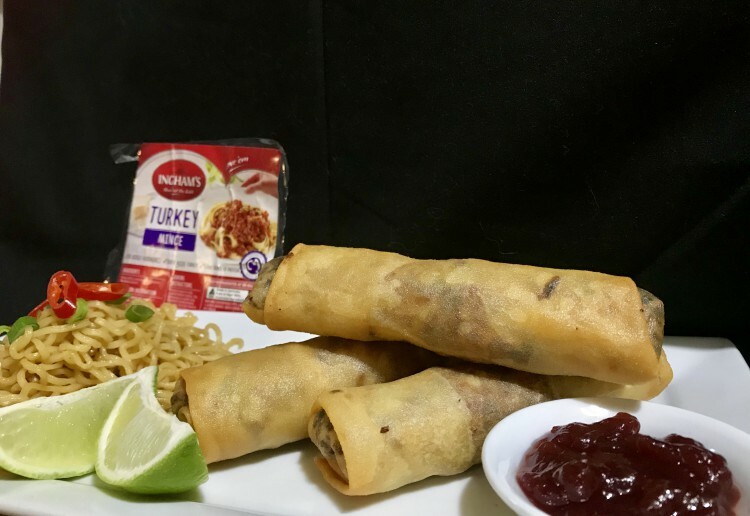 A turkey spring roll recipe the whole family will ‘gobble’ up! Add in the cabbage, spring onion, chilli (if wanting) carrot and soy sauce and mix to combine. Allow to cook on low heat for a few minutes. Crumble over the stock cube and mix to combine. Heat oil in a large pan until hot enough. You can test this by adding a small Cube of bread to the oil- if it bubbles then the oil is ready. Serve with noodles and cranberry sauce. These look so good! Who needs to go out for expensive takeaways when you can make these at home ?! Spring rolls are party pleasers. I’ve never bought spring rolls wrappers. I always made my “kind of spring rolls” with filo pastry. And I bake them in the oven. Not sure about the spring rolls wrappers but I could try and see what happens. A turkey spring roll would be so good,thanks so much! You are offering us amazing recipes lately. I love this one too. Instead of frying them, could the spring rolls be baked in the oven? Thanks for the tip – do like to have both options – bake or fry.